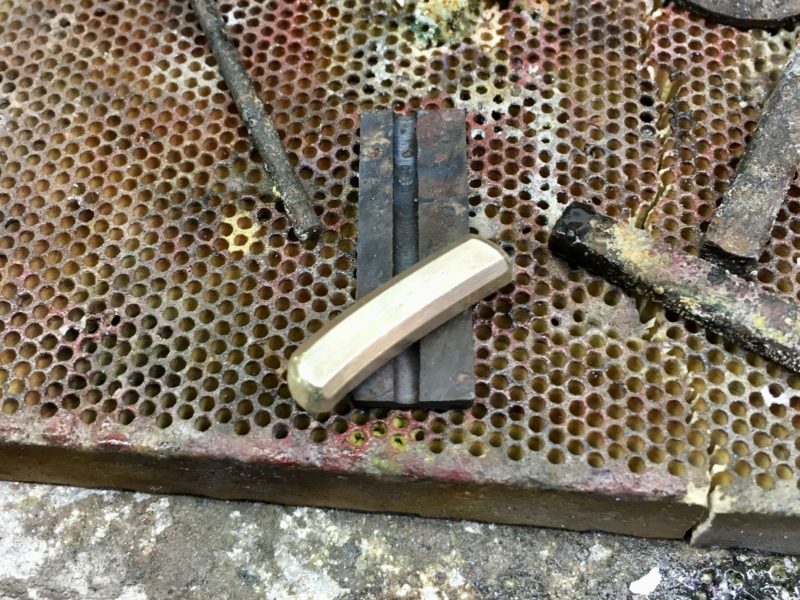 Have you ever wondered just how Goldsmiths and Jewellers do what they do? 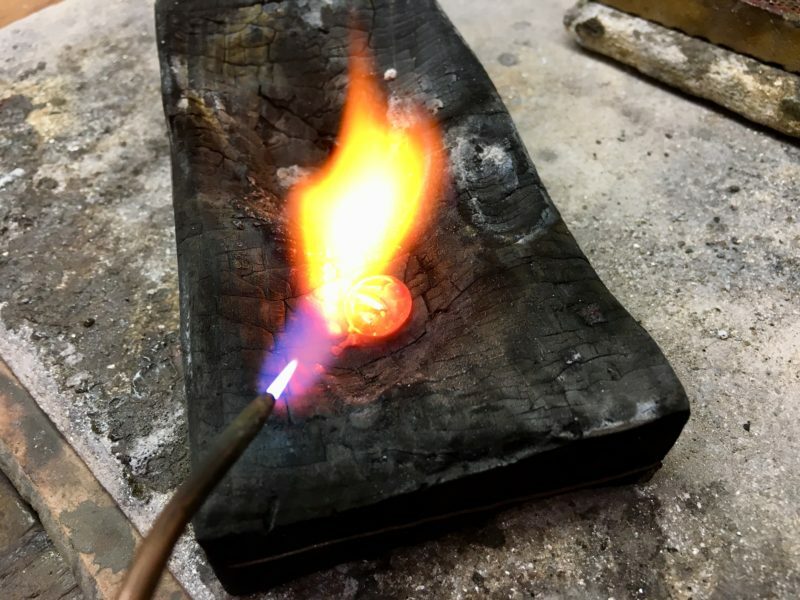 At Jesper Velling Jewellery we favour traditional jewellery making techniques, many of which haven’t changed for centuries, and for good reason! 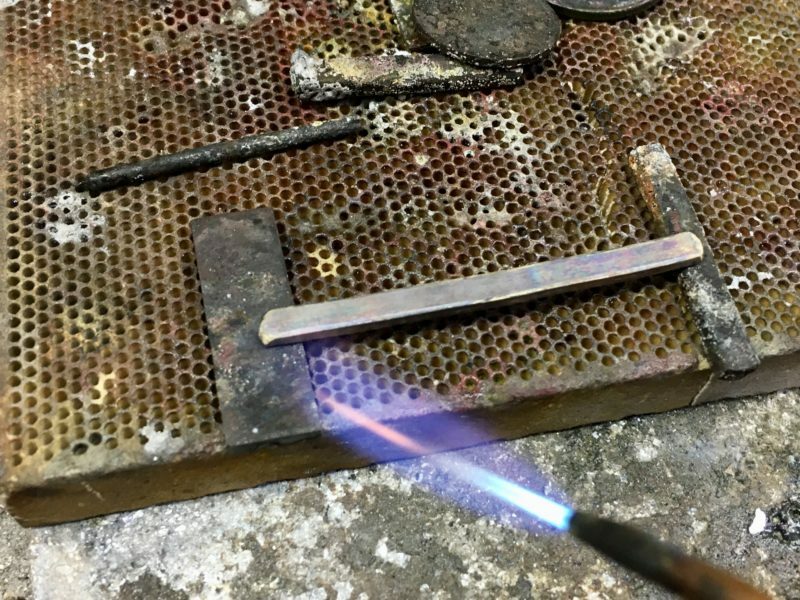 Here we would like to share with you just some of the design and manufacture processes we use in our workshop to make our bespoke jewellery. If there is anything you’d like to know more about please do get in touch. 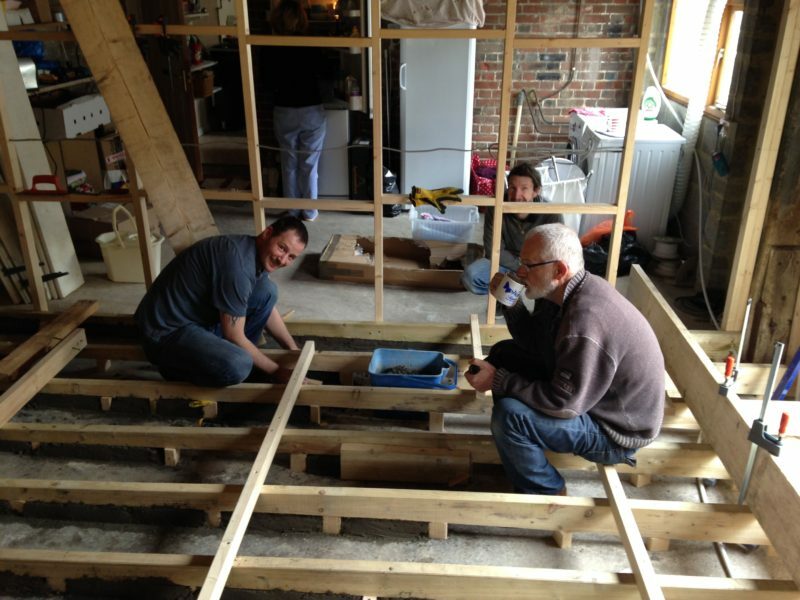 We are passionate about what we do and always welcome the opportunity to talk about it! Here you can also read about all our award-winning jewellery, latest news, designs and forthcoming events. 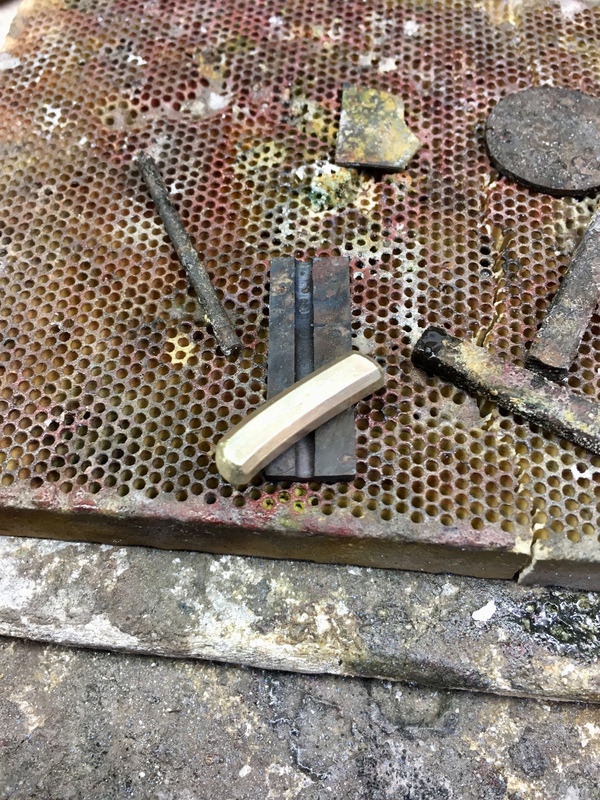 Corona Cufflinks in the making! My most recent commission saw my customer (an avid collector of cufflinks) come all the way over from Australia to collect these bespoke Corona cufflinks! Morgan found us whilst looking for inspiration online for the next pair to add to his collection and got in touch to see if we could make a bespoke pair in platinum set with sapphires and emeralds. We kept in touch with Morgan throughout the process, sending progress pictures and videos of the making process and here is the result! When two wedding rings become one! 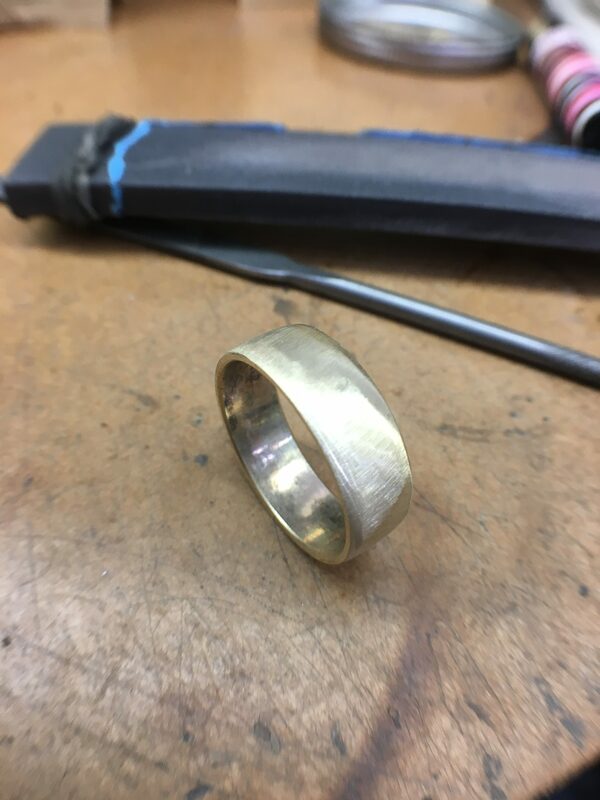 After sadly losing her husband earlier this year, our customer wanted to do something with his wedding ring rather than have it sitting in a box. 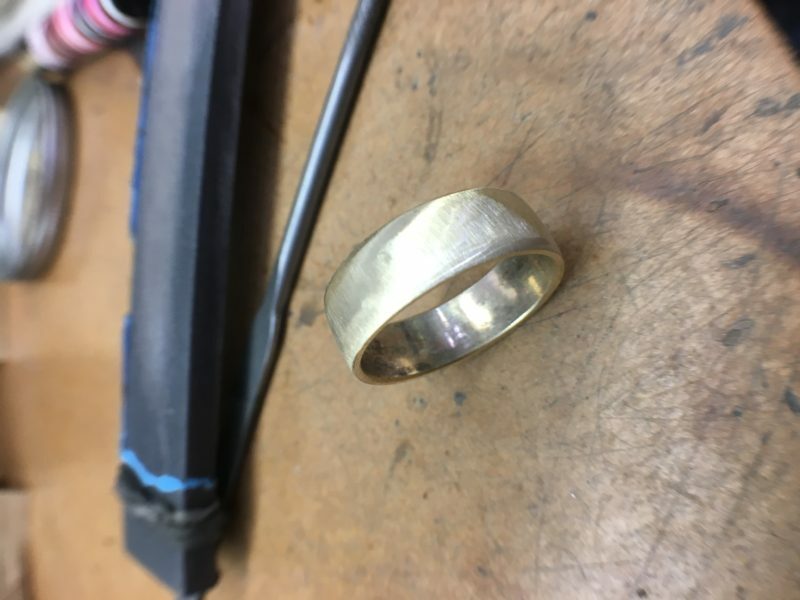 She came up with the idea of having her own wedding ring melted down with it and the two rings being made into one, heavier band that she could wear. 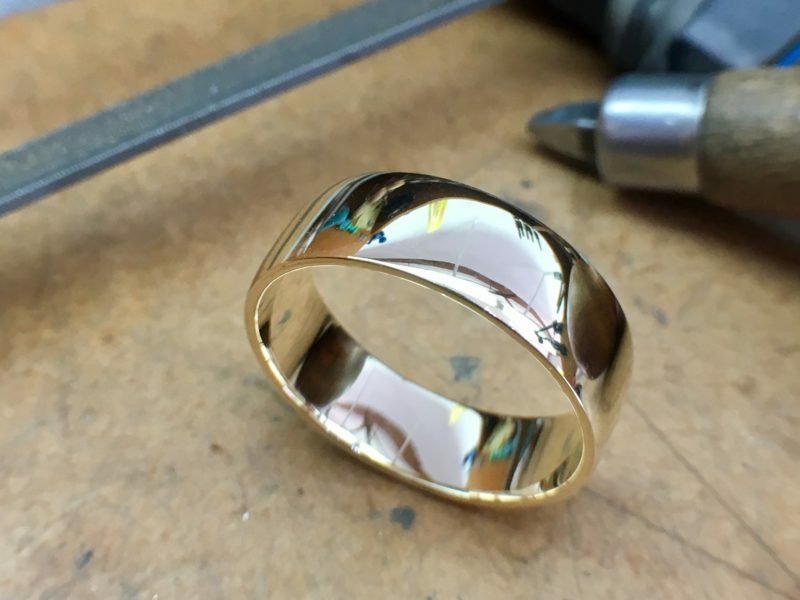 Working with jewellery that carries such sentimental value is a real privilege and one that we consider to be a huge honour. 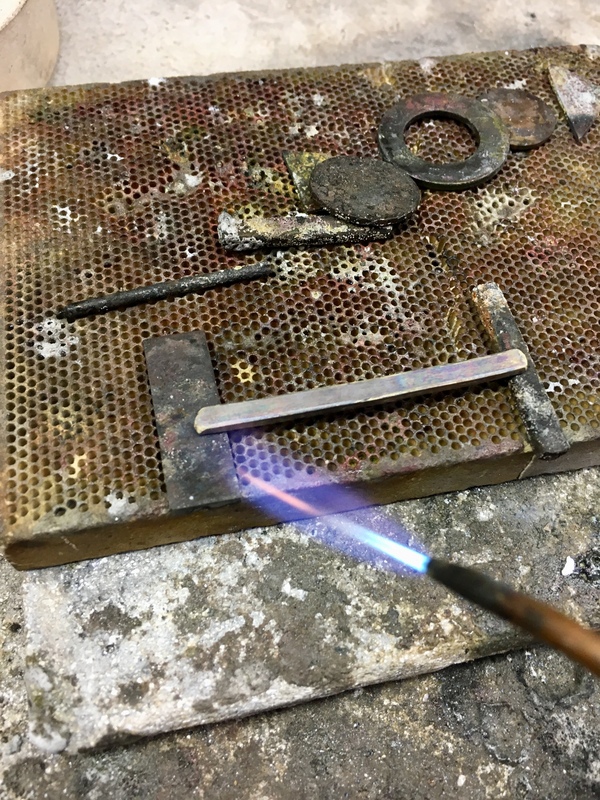 The process of melting the rings down may look a little scary but we’re happy to say that our customer was delighted with the end result. The ring was then engraved with both of their names, a truly lovely sentiment. It was a pleasure to make this platinum and diamond-set signet ring recently for one of our most loyal customers. 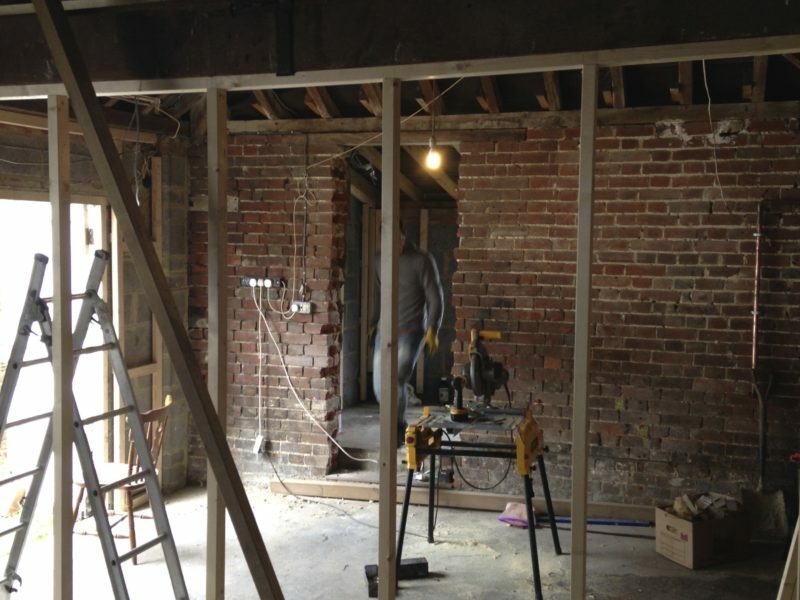 James was involved with the design process from the start and the result was stunning! 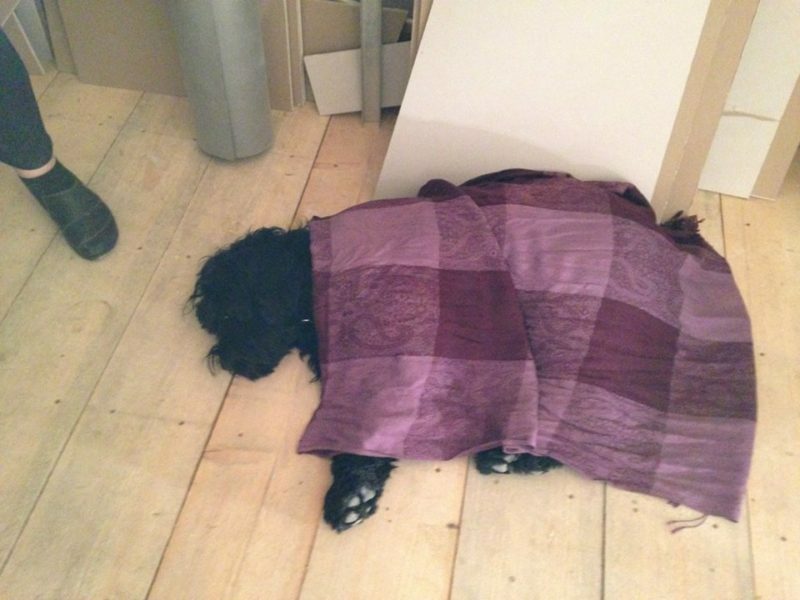 We’re proud to share with you a short video we made of a recent commission. 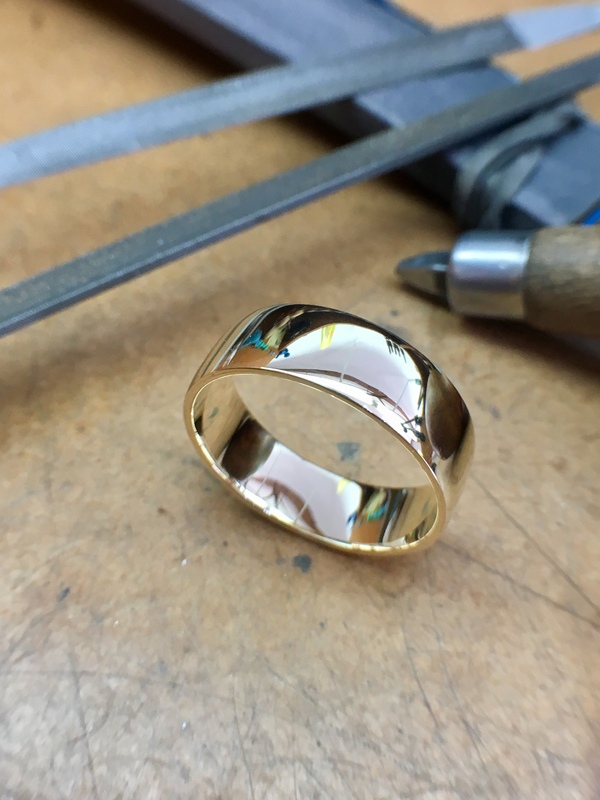 Our customer came to us wanting something truly special and unique, and from the offset was very involved in the design stages. 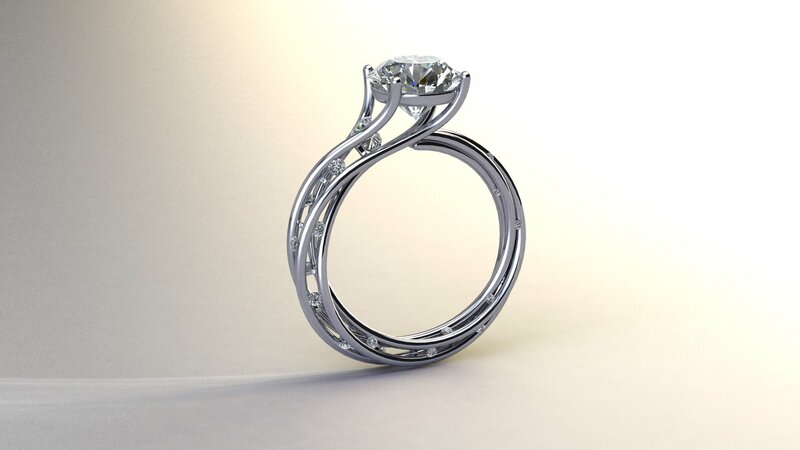 The ring is made in platinum and is set with an impressive 104 diamonds, giving a total carat weight of 2.12 carats! 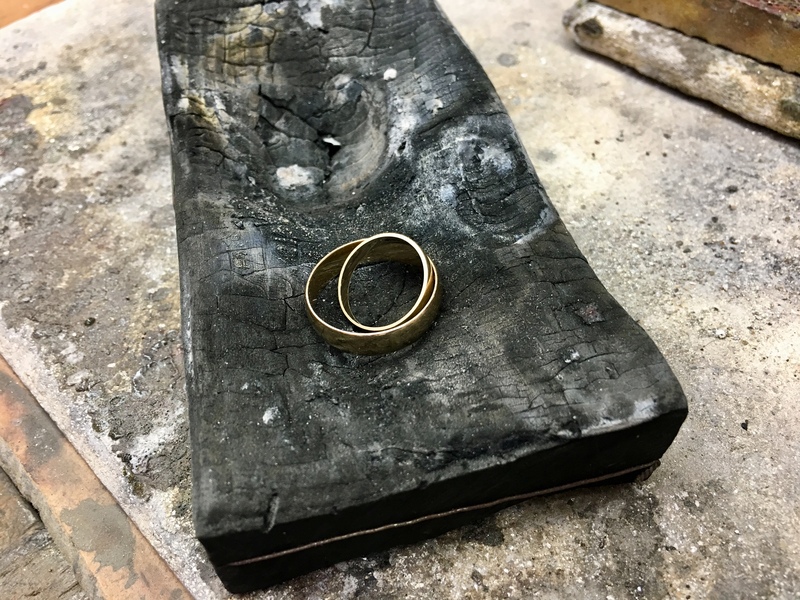 It has been an honour to make his vision a reality and we’re thrilled to say that the lucky lady who received this also loved it…and of course said “YES”! 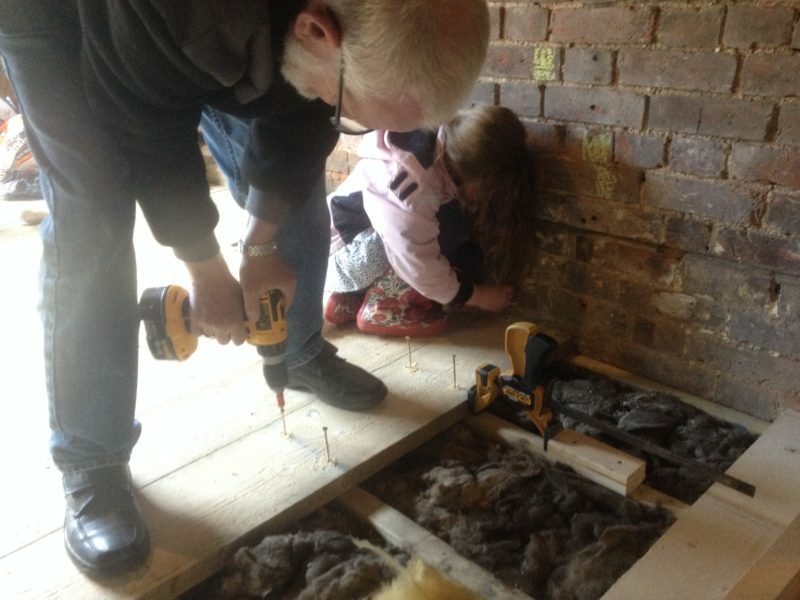 Tired of the work commute, in 2014 we decided to embark on a somewhat crazy home/workshop project that we are pretty sure will keep us busy for the next 10 years! 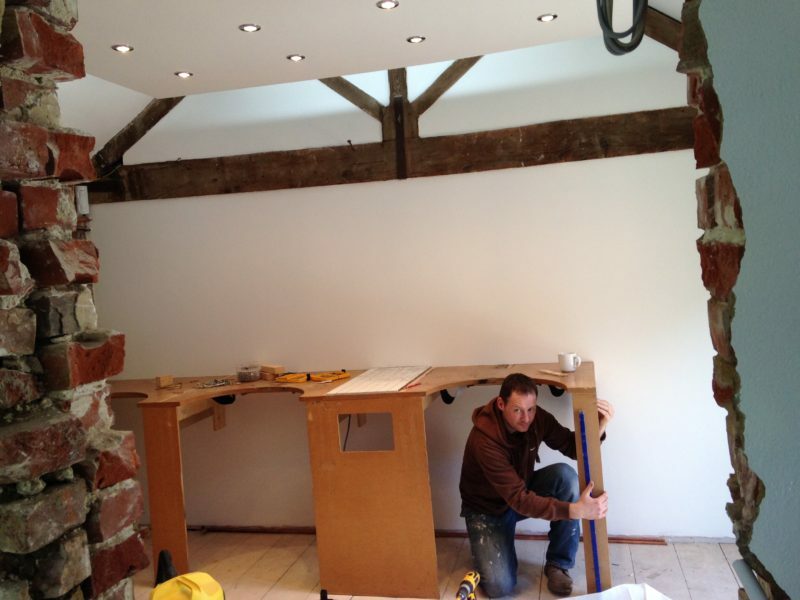 The first job of the new move was to get the workshop up and running. 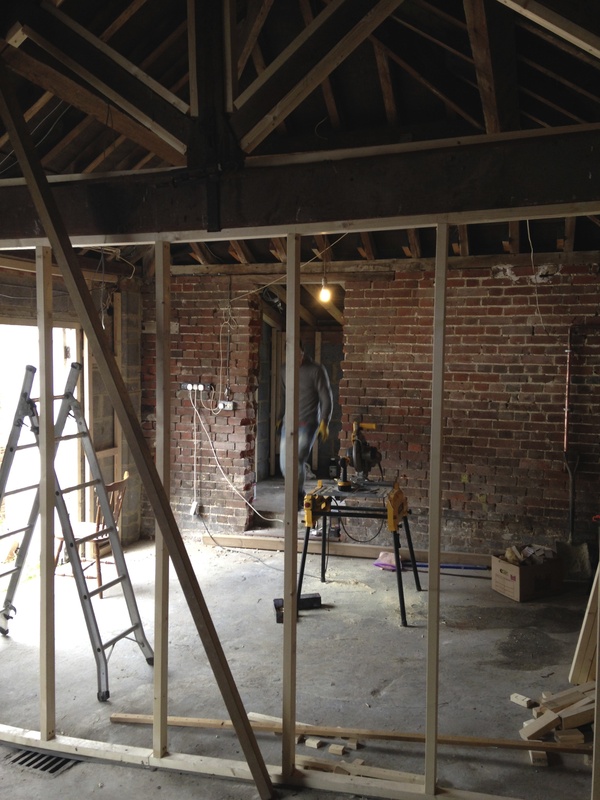 So, after lots of blood, sweat and tears, from this disused old stable block, the Workshop was formed! We are so fortunate to live and work surrounded by the beautiful Kent countryside and many of our clients often make quite a long journey to come and visit us. If you are traveling from London, trains run direct from Victoria to within 2 minutes walk to our door! Why not incorporate a day or even a weekend stay into your trip? 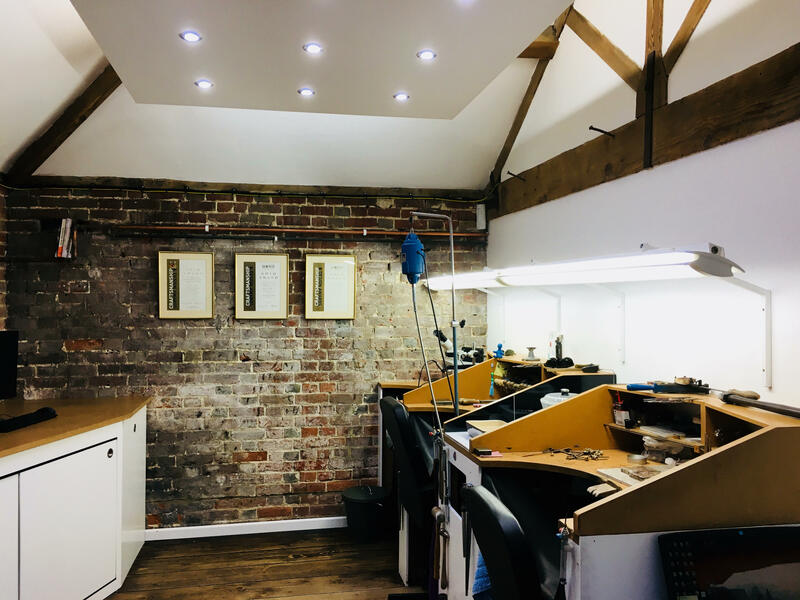 We are ideally located within easy reach of the historic City of Canterbury, the picturesque seaside town of Whitstable and the stunning White Cliffs of Dover so there is plenty to explore! Here are a few of our personal favourite places to visit and stay but please do contact us if you would like any further guidance. 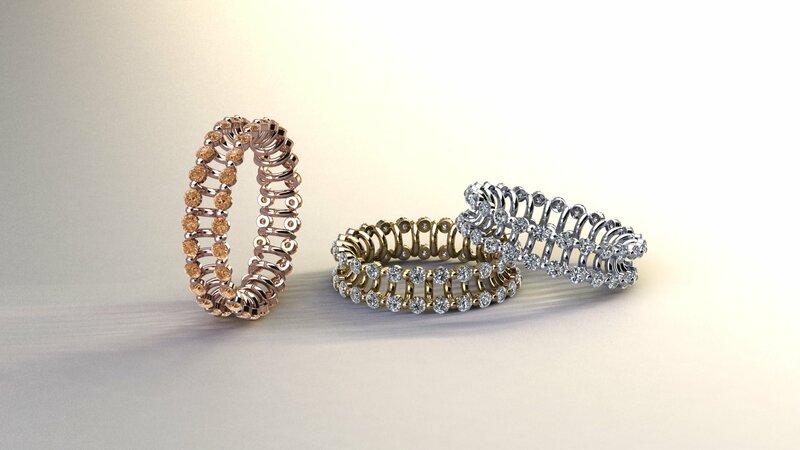 And if all that doesn’t persuade you to come and visit us, we can offer London appointments in a relaxed and secure meeting place, conveniently situated in Hatton Garden, which is perfect for us to collect a sample of diamonds & gemstones for you to browse should you want to include them in your bespoke jewellery. 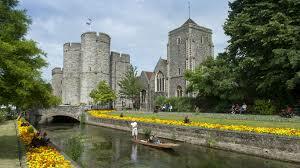 Canterbury has a whole host of history and heritage for you to come and discover! Whether it’s going to the beautiful cathedral, taking a guided river boat tour, visiting the theatre or enjoying the unique shops and restaurants, you will not be short of things to do! The Duke William, Ickham – local, seasonal & traditional dining at it’s best! Beautiful guest rooms also available. Gibsons Farm Shop & Cafe – serves food all day, we recommend the breakfast! 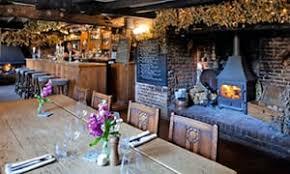 The Haywain, Bramling – a roast to rival even the wifes’! Sunday booking advisable. Accommodation also available. The Anchor, Wingham – one of two great pubs in nearby Wingham. Super food, service and hosts of great music! Heading back towards London just 6 miles north of Canterbury, no visit to Kent is complete without stopping at the seaside town of Whitstable. Rich in maritime history and with a wonderful working harbour and fish market where you can find the famous Whitstable oysters! After a walk along the seafront you’ll find a generous offering of quaint and quirky shops and restaurants. Just don’t leave before sunset…you won’t be disappointed, the bay offers a real treat at this time! Diamond Mounters Senior – Silver Award for Solitaire Diamond Twist Ring. 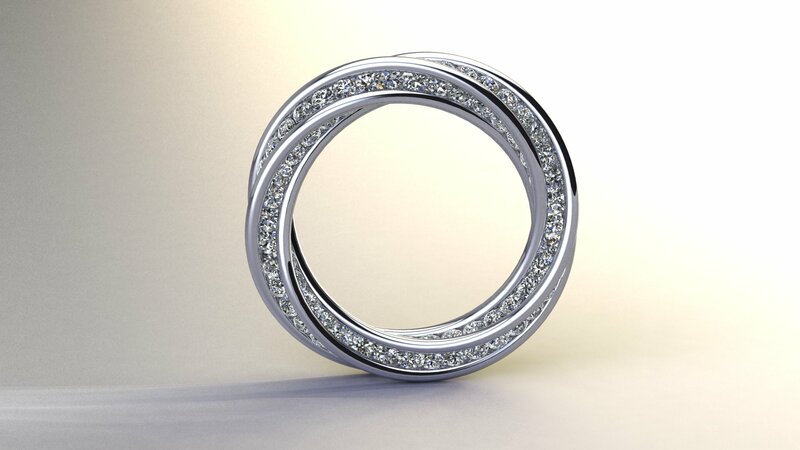 2D Design CAD presentation – Silver Award for Diamond Twist Rings.